Miscellaneous stuff that's good to know that didn't fit anywhere else. The club has a strict policy to NOT give out our mailing list (emails or postal) of club members to other groups or organizations without board approval. In fact, we have been asked, but have NEVER approved it. 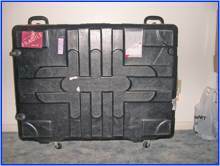 Your info is safe with us. 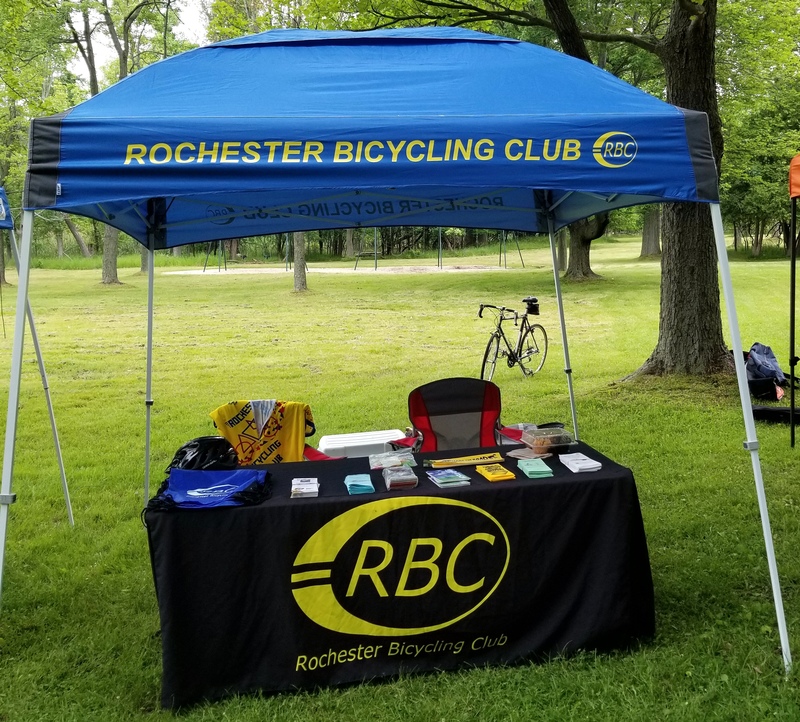 The bike club has a canopy, folding table and a table skirt to use at festivals. The RBC has new business cards. Available from Kathy Riegel. 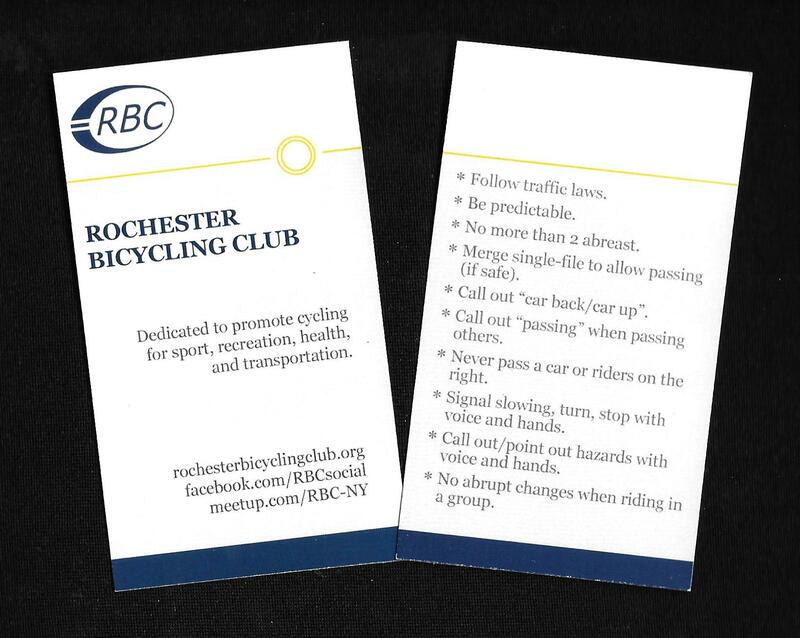 The bike club has 2 sandwich boards which can be used at functions. 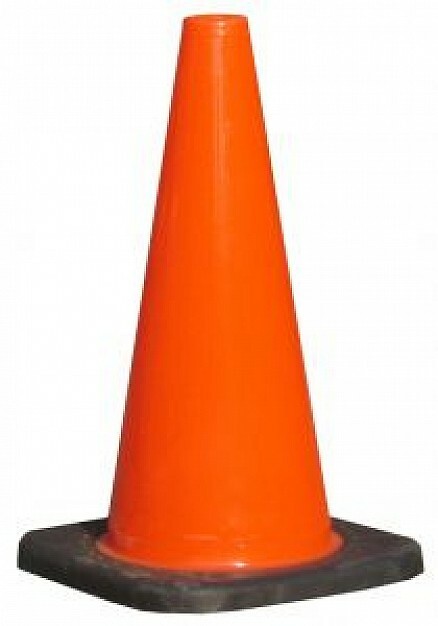 The club has 4 orange highway cones for use at festival and/or functions. 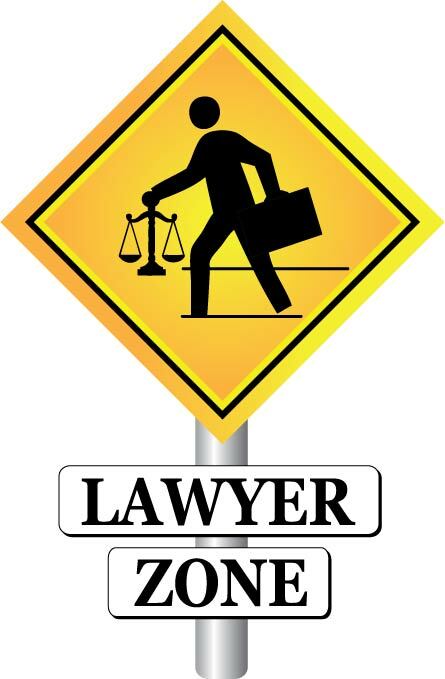 The club has a legal representative (lawyer) who is available to club members. Each member is entitled to one free consolation from him for advice regarding a bike related incident. Our new attorney is Jim Reed. Jim is a prominent Cycling Attorney and Advocate in New York State and was recently named Director of the New York Bicycling Coalition. From Jim: "Please appreciate that my view of legal matters is that there is no such thing as a dumb question and I would much prefer to answer a question early on before things turn into a chocolate mess because someone decided to plow ahead without getting some early legal advice. 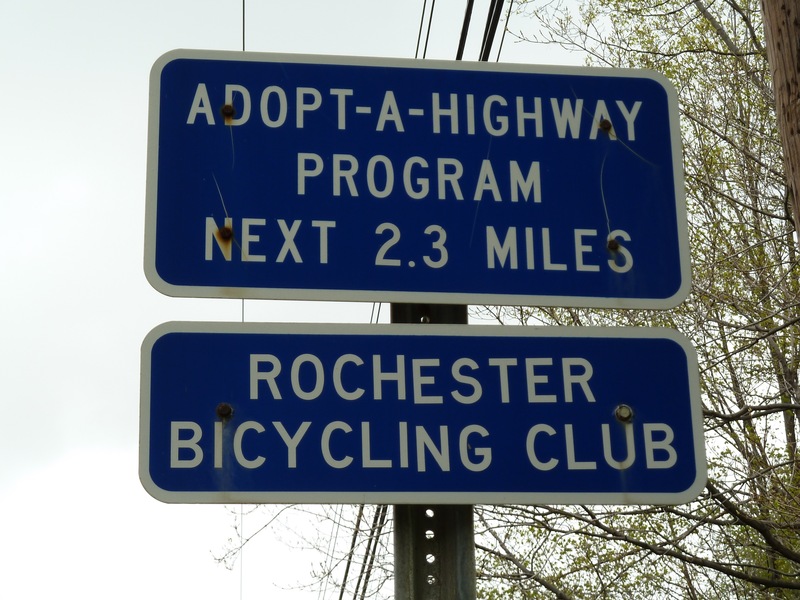 It is always easier to avoid a problem rather than fix a problem……"
The RBC had an "Adopt-a-Highway" section of Rt. 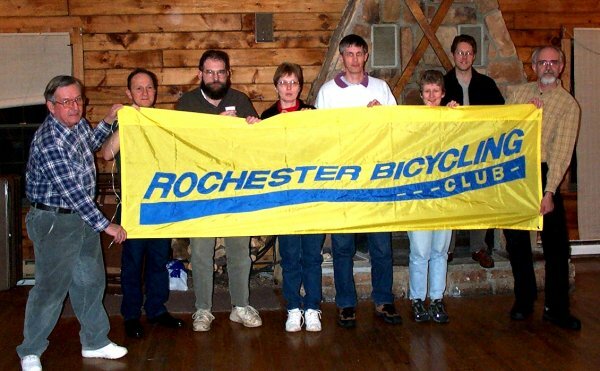 250 in Webster for nearly 20 years. Our participation was discontinued in 2014 due to lack of volunteers. 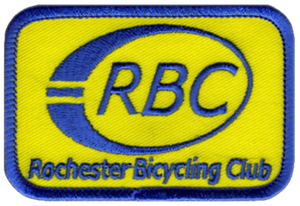 The bike club used to have 4” rectangular RBC patches for $3 each. Patches are no longer available.